What to do during a rainy day or after a full-day excursion? At Siam adventure Club, we thought about all kind of holidays. 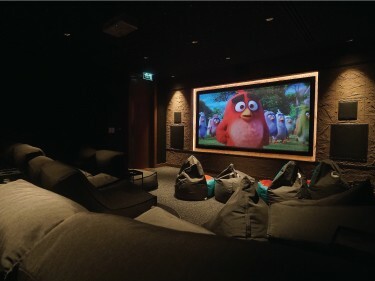 We created an in-house cinema room, so you can enjoy either all-time favorite movies, the latest released movies without stepping outside the resort. 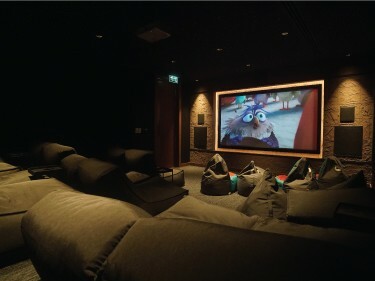 Featuring branded new comfortable and modern furniture, state of the art audiovisual equipment, you will feel like you are in a real cinema room! The list of available movies is updated every month. You will enjoy classic and all-time favorite such as Barbie, Mulan, Garfield, Hotel Transylvania, but also the latest release movies. To get the cinema schedule, please contact our Rangers Team. 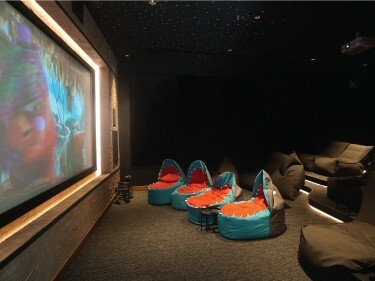 The movie world is open from 11:00 to 22:00 to our guests, and is free of charge. Kids below 12 years old should be accompanied by a parent.